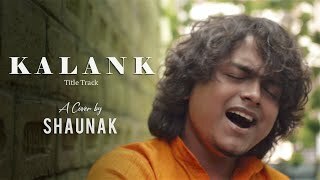 A cover of the title track from the movie Kalank starring Varun Dhawan, Alia Bhatt, Madhuri Dixit, Sanjay Dutt, Aditya Roy Kapur & Sonakshi Sinha. The song is originally composed by Pritam, written by Amitabh Bhattacharya and sung by Arijit Singh. Location Courtesy - Snacking, The Coffee Shop, Kolkata, India.